8x10 inch glass negative by by Edward Hart. "Evening amusements. 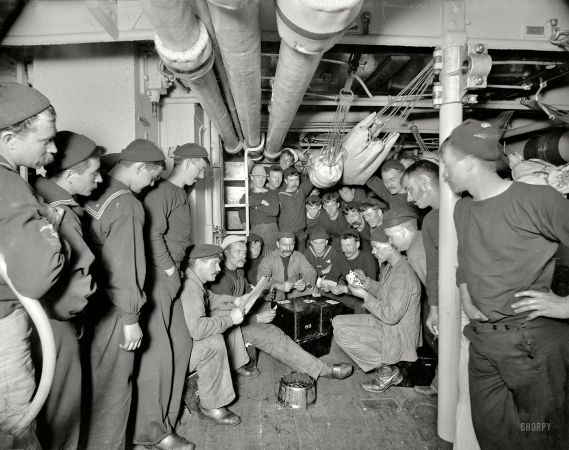 A little game," aboard the U.S.S. Brooklyn, circa 1897.